Long-time Southwest Florida Developer, Jon Rubinton of Mangrove Bay Development, LLC unveils Mangrove Bay, Naples last remaining waterfront residential property built on 15+ acres. Mangrove Bay features 52 remarkably designed, generously appointed luxury homes with spacious and open floor plans. These one and two-story Old Naples cottage style luxury waterfront homes come complete with private pools and individual boat slips. 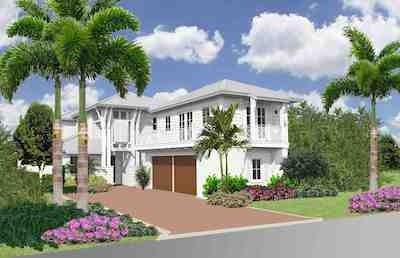 Nestled along the Gordon River in Old Naples, many Mangrove Bay residences will offer waterfront and estuary views. Located in historic Old Naples, Mangrove Bay is blocks from world-class shopping, dining and entertainment venues. The nearby area also boasts a wide range of fitness activities such as public and private golf, tennis and the state-of-the-art NCH Wellness Center with fitness equipment, personal trainers, classes and massage therapists. In addition, Residents will enjoy easy access to the new proposed 20+/- acre City of Naples Park and bridge accessing the 300+/- acre Greenway Preserve with trails immediately adjacent to the community. There are as many things to do from sea as from land at Mangrove Bay. Cruising the bay, kayaking through the mangroves, fishing the backwaters, jet skiing, or water skiing are just a start. From the Gordon River flowing into Naples Bay and into the Gulf of Mexico, Mangrove Bay Residents may choose to use their own private boat slip with optional boat lift, launch jet skis and kayaks from Mangrove Bay’s private boat ramp, or catch a ride to nearby restaurants with the water shuttle service. Residents of Mangrove Bay enjoy true resort style living and pampering with a private on-site Concierge that offers convenient services ranging from airport limousine transportation and grocery shopping, to car and boat detailing and reservations at the finest restaurants. The beautifully appointed Concierge Center at Mangrove Bay will offer three Luxury Guest Suites that may be reserved by Residents and enjoyed by their guests. Unique home features in Mangrove Bay allow residents to select from a broad range of luxury lifestyle choices. Old Florida inspired architectural details, decorative street lighting and balconies, brick paver drives and walkways, and abundant lush tropical landscaping are some of the exquisite features of Mangrove Bay. Spacious one and two-story luxury single-family homes at Mangrove Bay offer both Waterfront and Courtyard Designs, ranging in square footage from approximately 2,600 – 3,800 square feet under air. Thoughtfully designed, each home offers a ground floor master suite, gourmet island kitchen, natural gas service with luxury Wolf/Sub-Zero/Bosch appliances, granite countertops, hurricane impact windows, decorative porches, spacious outdoor living areas, over-sized his and her walk-in closets and private swimming pool. Guest houses are included as a standard feature with each Courtyard Home or as an option with each Waterfront Home. Five distinctive individual floor plans are available, each with three optional exterior elevations and customization is available. Homes are priced from the low $2 millions. The Waterfront collection at Mangrove Bay consists of 3 available home designs, the single-story Captiva and Amelia and two-story Keewaydin. Each design offers three distinct elevation options.The Captiva I offers single-story living with approximately 2,586 square feet under air and a 3-bedroom, 3.5-bath floor plan with side entry garage. The Captiva II & III each offer an expanded floor plan encompassing a 2nd floor private entry guest house with private bath and approximately 2,900+ square feet under air. The Amelia I also offers single-story living with approximately 3,098 square feet under air and a 3-bedroom plus den, 3.5-bath floor plan with front entry garage. The Amelia II and III each offer an expanded floor plan encompassing a 2nd floor private entry guest house with private bath and range from 3,508 SF to 3,640 SF under air. The two-story Keewaydin I offers approximately 3,300 square feet under air with 3 bedrooms, 3.5 baths, 2nd floor loft, and side entry garage. The Keewaydin II & III each offer an expanded floor plan encompassing a 2nd floor private entry guest house with private bath and more than 3,700 square feet under air. The Keewaydin collection offers a generously sized outdoor living space of approximately 598 SF, ideal for entertaining and al fresco dining along the waterfront. 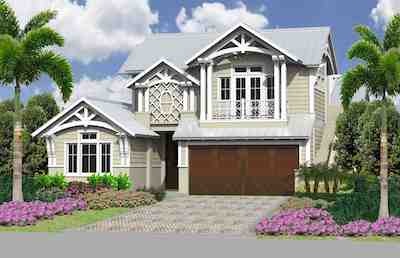 The Mangrove Bay Courtyard Collection consists of two available designs, the Sanibel and the Caxambas. The Sanibel I, II, and III each offer a 4-bedroom plus den, 4.5-bath floor plan including private entry guest house above the rear entry garage. First floor master suites open to the masterfully designed outdoor living area. They range in size from approximately 3,277 to 3,331 square feet under air. The Caxambas I, II and III feature 4 bedrooms plus loft, with approximately 3,514 to 3,561 square feet under air, including a private entry guest house above the rear entry garage. This model’s master suite is situated in the front of the home, while the living room, dining room and kitchen all face toward the pool area. The Development team at Mangrove Bay has over three decades of experience developing a myriad of multi-million dollar communities and constructing hundreds of luxury homes at the most prestigious addresses in Southwest Florida, including neighborhoods such as Old Naples, Port Royal, Aqualane Shores, Park Shore, Pelican Bay, Bonita Bay, Mediterra, and Captiva & Sanibel Islands. The Mangrove Bay Sales Center, located at 201 Goodlette Road South, is open between the hours of 10 a.m. to 5 p.m. Mondaythrough Friday and Noon to 4 p.m. Saturday and Sunday, or by appointment. For more information, contact (239) 261-2200 or visit www.mangrovebaynaples.com.